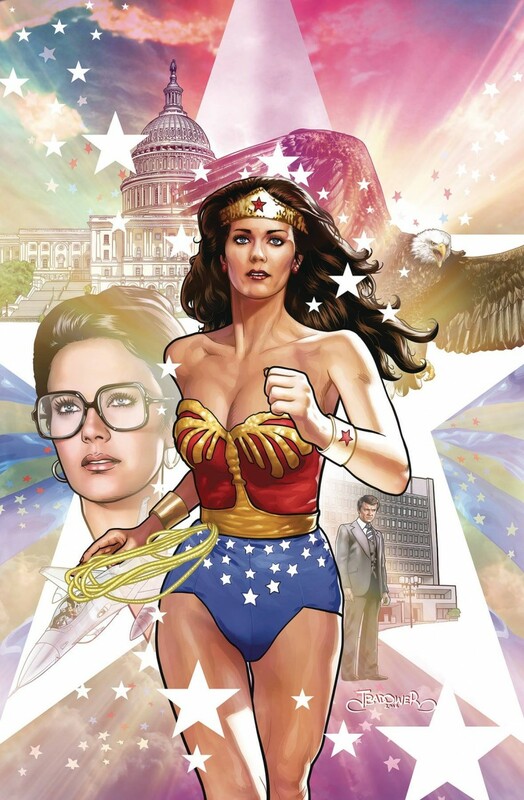 Collects WONDER WOMAN ‘77 SPECIALS #3-4. Wonder Woman must stop Clayface from enslaving Paradise Island! Then, Diana goes undercover in “Oceans,” where a diplomat has dangerous plans, and teams up with the local IADC to track “Orion the Hunter,” and much more! And “Worlds Collide” when a tape full of government secrets disappears, and a dictator tries to fulfill his daughter’s final wish.